The bent bulldog is a GBD Trafalgar. I purchased it back in the late 1980's. The poker does have great grain on it. That pipe was a house pipe from the local tobacco shop. It is a Casselloni Virgin. I think it cost me all of about $6.00! The pot above the poker is a Casselloni also, but it is spelled with only one "L"! I feel it is hard to beat those older British 2nds for the money. 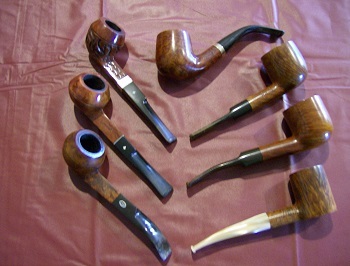 John Redman Ltd/British Empire Pipe Co pipes on ebay go for very little. Got to think it was because they were buying good briar and not screwing up the production too terribly. No great craftsmanship, just not screwing up the raw resource or screwing it up too badly in the process. Some of that old blasting that they did assembly line style is every bit as nicely done as artisan pipes of hundreds of dollars today. I appreciate what everyone is doing today, but it also makes me take pause. I completely agree. But I think some of the difference in quality between then and now is also down to the increasing demand for briar that leads to exploitation of the stock that nature could provide. From (I think) the 80's and onwards even good manufacturers were accepting flaws that you rarely find on pipes from the 50's or 60's. Another point you make, if I get you correctly, is that the old school manufacturers were more no nonsense about the pipes. They offered a perfect shape and a nice grain. If you spent more money you got a beautiful grain and maybe (but not necessearily) a silver ring. That's like saying, if the pipe is good, it will prove itself. I like that old school attitude a lot. I wasn't thinking like that with my post, but I do feel it to be true. I think of stereo equipment. If you bought a quality brand, they had no junk product. You'd get increased performance and more features, but you were never going to get a downright piece of junk. Quality was always a part of the contract. In other words, you didn't have to pay more for it to not be a piece of junk. That's something that drives me insane about our world now. They don't mind taking $100 for a piece of crap, and they make it clear that at $150, they promise it won't be a piece of crap. Or in the spirit of planned obsolescence, the base products are made to have a limited lifespan, but if you spend X more, the thing will last an acceptable amount of time. "Screw you. Your prices are already exorbitant. I have to buy top of the line just for a half-assed guarantee it will actually still function in two years? I'm already paying you a lot of money." If you bought a Charatan Belvedere, you were buying a Charatan. Period. It wasn't actually a Charatan Minus. They were proud of everything they stamped with their name, and if you were buying their stamp, you could be secure in your purchase. 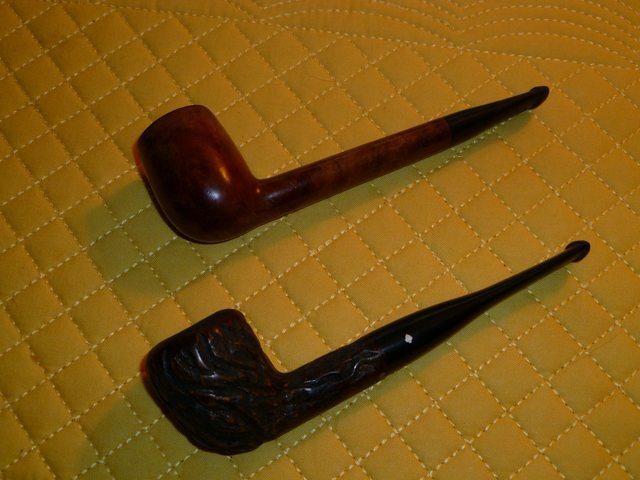 I think that the acceptance of more flaws in the briar causes the manufacturers to make more pipes finished with rustication, sandblasting, etc. Hehe, yep! The Everyman I started this thread with doesn’t even have by Comoy’s stamped on it and yet it smokes as perfectly as any they ever made. That’s integrity! I can’t count the number of music or kitchen devices I bought that gave up after max. 6 months. Electric Razors are another one. You can now spend $60 for a razor that barely shaves and last 8 months. Or $250 for one that gives an acceptable shave and last 5-10 years. Back when, you could spend $20 for a razor that shaved perfectly and was manufactured with a motor that would run your entire lifetime. It might only have on/off with a wall plug, but you weren't going to be spending another $20 anytime soon. Here's another one of my recent buys. 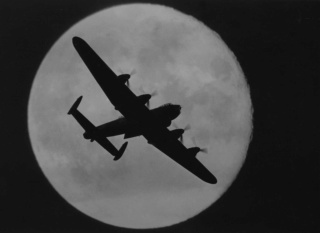 BBB pipes of the Cadogan era get at lot of bashing on the forums I've looked at. And It's true, they lost something compared to the old ones - the grain looks a bit paler, and I miss the inlaid rhombus. But they are really good smokers - at least this one is, and it's become a very good friend very quickly. Any of you have experiences with Cadogans? Had a BBB pot that was that era. It was a stellar smoke. I gifted it to a brother in England a few years back. I hope it's served him as well as it did me. Your right though the grain was lacking and just looked muddy. The fit and stem work were excellent though. Very comfortable pipe. BBBs have always been underrated. At least in my opinion, they have been. Sure, the really old ones are sought because they're really old and British, but as for smoking instruments, not so much. Could I post a picture of my wife? She’s REALLY cheap. Got an old Yello-bole in a junk shop...paid $1.25 for it...probably the best smoker I've got. Top one. 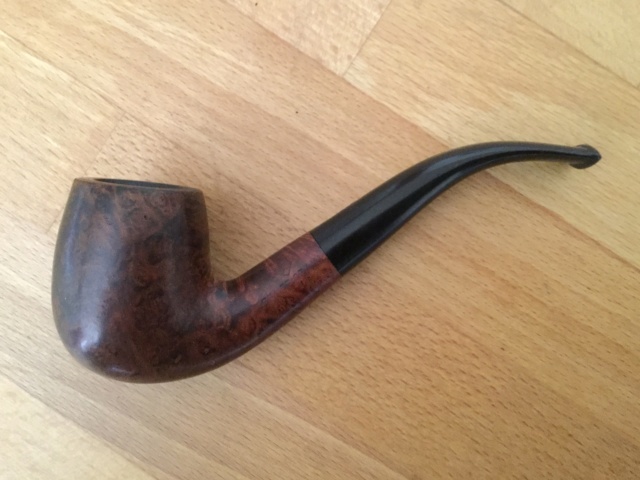 My very first pipe was a Dr Grabow Grand Duke bought at a local Walgreens. Just under $20 if I remember correctly. Smoked it too hot a few times and blistered that horrible clear varnish. Also developed an inch long crack on top of the stem. Almost tossed it a few times as my collection grew but just didn’t have the heart. Recently discovered that the Dr Grabow company will replace the stem for $12. Just sent the pipe in yesterday. Going to strip and re-finish when she gets back home. One of my best smokers and dedicated to Crooner.